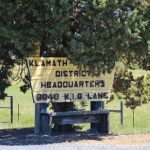 This recall effort is focused on the three “majority” members of the Klamath Irrigation District Board of Directors. In our opinion, these men have taken strides to undermine the voice of KID irrigators in order to push and fund the agenda of those outside the irrigation district. Though elected to lead, Cheyne, Knoll and Smith appear to have decided to decline their leadership roles. Instead of making the hard decisions that comes with their elected posts, supporting the will of KID irrigators against outside forces and, at times, taking heat for their decisions, these men hide from their responsibilities. A prime example of their failure to represent the clear will of their constituents, was when KID irrigators voted overwhelmingly to replace the C Canal Flume. However, instead of fulfilling the will of their patrons, they allowed Mr. Kogan to use the project as leverage to advance issues that have nothing to do with KID. Even worse, through inaction, these men essentially allowed Mr. Kogan to dictate KID activities and policies from the comfort of his NYC law offices, about 3,000 miles away from the Klamath Basin. Unfortunately this isn’t the only instance of these men abstaining from leadership. More recently, in a July 14th public meeting, when the subject of ending Mr. Kogan’s contract was voted upon, Mr. Knoll abstained from voting without explanation and Mr. Cheyne chose not to vote, claiming that his vote was only needed to break a tie (though he has voted several times in the past, including to sign the C-Flume contract). These are only a few examples of the majority faction’s inability or unwillingness to make decisions and take decisive actions, and unfortunately,when these men failed our district. 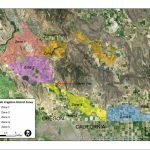 Instead, they’ve ceded their their responsibilities and obligations to contracted attorney, allowing him to make policy for the irrigation district.